Is Coconut Oil Good For Fading Stretch Marks? How To Apply It To Stretch Marks? Stretch marks affect both women and men. This skin condition makes a person uncomfortable and self-conscious with its appearance. It appears mainly on the hands, arms, underarms, hips, legs, breasts, abdomen, back, and thighs. Pregnancy is the main cause of stretch marks. 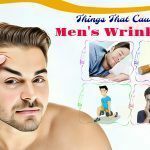 But rapid growth, stress, physical changes, rapid growth, sudden weight loss, heredity factors can also contribute to this skin problem. 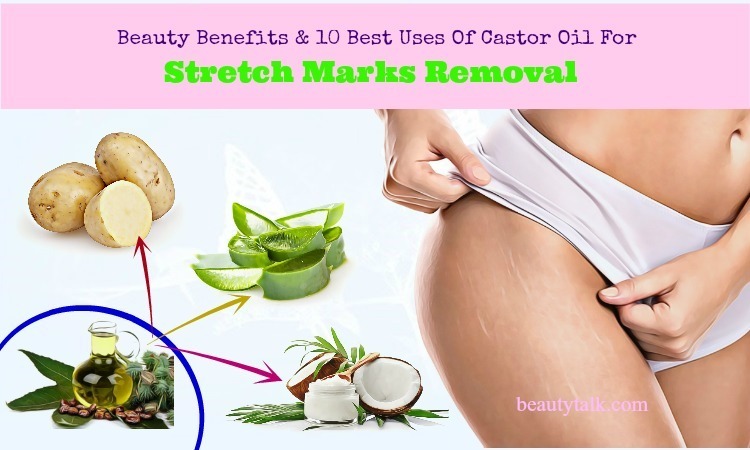 To remove stretch marks, you can use many natural ingredients. Coconut oil is one of them. 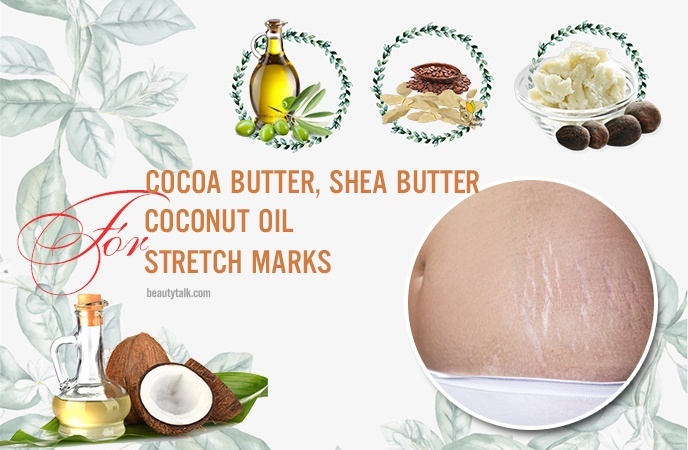 In this article, we, Beauty Talk, will introduce the simple methods on how to use coconut oil for stretch marks removal. Is Coconut Oil Effective For Removing Stretch Marks? 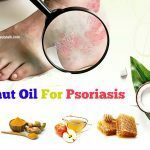 Prior to going to know about some methods of using coconut oil for stretch marks removal, it’s better to know the benefits of this oil for it. Coconut oil contains many properties, making it so useful to get rid of the stretch marks . 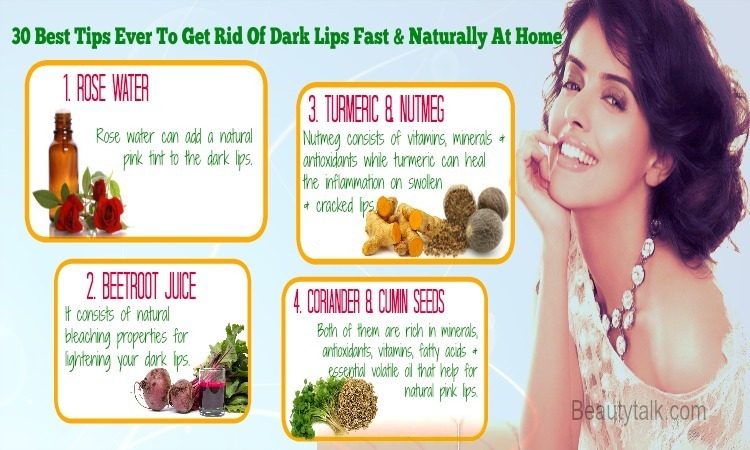 It is packed with nutrients, minerals, and vitamins, which help to feed the skin and repair the damaged skin. Besides, the vitamins K, E and iron present in coconut oil remove stretch marks by increasing new cell generation. 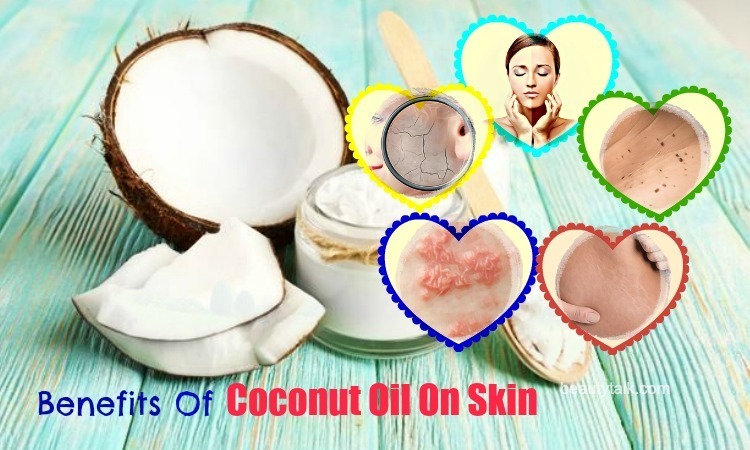 Apart from that, the lauric acid of coconut oil contains antibacterial and antimicrobial characteristics, which help to combat the bacteria and enhance the healing process. Plus, this oil also possesses fatty acids that moisturize the skin, thus fading the stretch marks. Last but not least, it also acts as a moisturizer, which heals burns as well as other skin-related diseases. Take the coconut oil and massage it on your stretch marks. Leave the application on until the skin completely absorbs it. For fast results, repeat this method every day. Mix the two oils together. Apply this oil mixture to your affected areas. Follow this method 2-3 times daily to fade the stretch marks effectively. Olive oil is able to promote the healing procedure of the stretch marks since it consists of anti-inflammatory and wound healing compounds  . 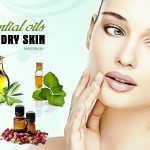 It also has squalene and triglycerol, which are good for hydrating the skin and diminishing the dryness and dullness. Take several drops each of olive oil and coconut oil. Mix them together. Massage this mixture gently on your stretch marks. Leave the application on until the skin completely absorbs the oils. Try this method daily for visible results. Turmeric has been used by women for beauty treatment in many Asian countries. 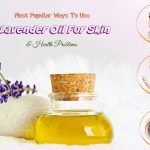 It is rich in anti-inflammatory, antioxidant, and antiseptic agents, which make it a great remedy for treating acne, pimples, stretch marks, and much more. Mix the coconut oil with turmeric powder and lemon juice together. Apply the mixture on your stretch marks. Rinse the application off with water after 15 minutes. Repeat this process daily for quick results. Avocado oil is packed with vitamins A, B1, B2, B5, D, E, protein, minerals, lecithin and fatty acids, all of which are useful for stretch marks removal. 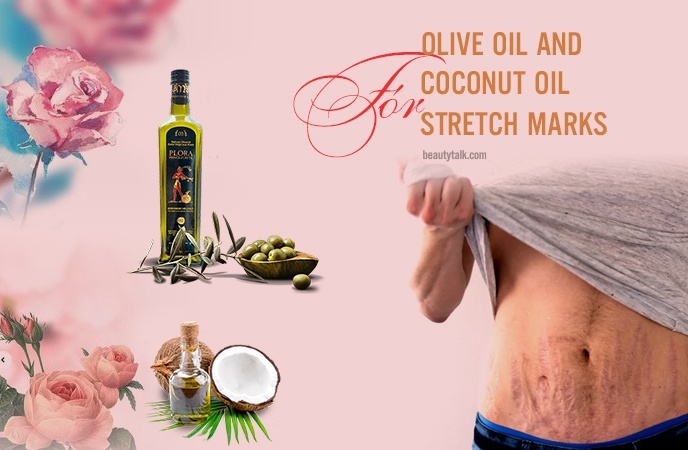 See how to use avocado oil & coconut oil for stretch marks. In a container, take the organic coconut oil and make it warm. Whip the avocado oil. Add the cornmeal and whipped avocado oil to the molten coconut oil. Massage this combination on your stretch marks for fifteen minutes. This method should be used at least once a day. Sugar has been used for ages in Africa & other parts of the world for wound healing. Sugar has the ability to fade dead skin and regenerate new skin cells. Granulated sugar is generally disaccharide sucrose that easily penetrates the skin surface. Mix the coconut oil, salt, and sugar together. Then, massage this resultant mixture for five minutes and wait for ten minutes. Use water to rinse it off and pat dry. For fast results, repeat this process daily. Being rich in ricinoleic acid, castor oil aids in keeping the skin healthy. It also locks moisture into the skin cell, thus keeping them hydrated. Moreover, it is loaded with antibacterial properties, which help to prevent stretch marks from bacteria. Simply, mix the two oils in equal amounts. Then, massage this mixture on your affected regions for five minutes. Allow it to rest till the oil mixture is absorbed by the skin. The method should be repeated daily. Shea butter contains skin rejuvenating, anti-aging, and ultra-hydrating qualities, which make it an excellent remedy for keeping off stretch marks with regular use. Cocoa butter has been used by people in Africa for centuries to moisturize and heal their skin. Plus, the rich fatty acids of cocoa butter help to penetrate your skin for deep hydration. Mix all the ingredients mentioned above in equal amounts. 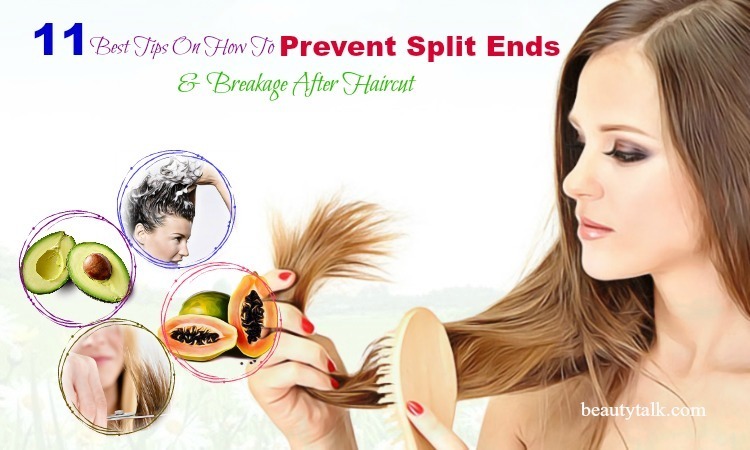 Add several drops of vitamin E oil to it and leave the mixture to cool down. After that, massage this resultant mixture on your stretch marks. The application should be repeated twice daily. Coffee contains an exfoliating property, which is helpful for clearing impurities, dirt, and loosing skin. 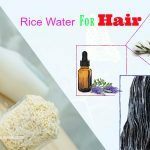 Besides, the caffeine content present in it helps to improve the production of collagen to tighten the skin, thus removing the stretch marks. 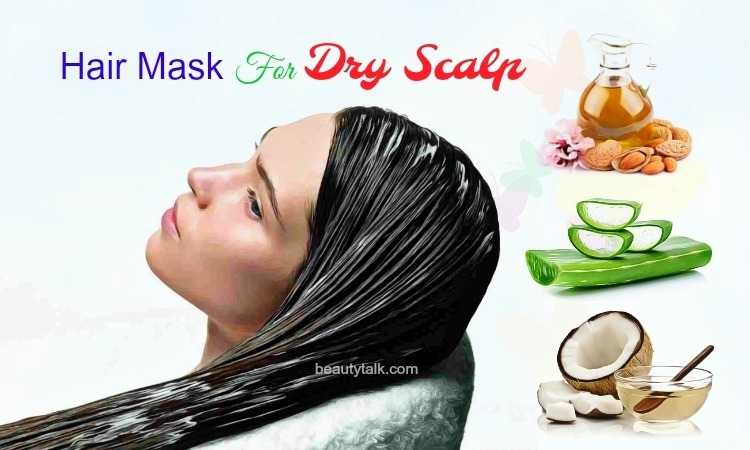 It also helps to make the skin supple, smooth, and hydrated. Mix the two above ingredients together. Later pour this mixture into moulds. Leave it to rest for five hours and after that, remove from moulds. Place them in a Ziploc bag or airtight container and store them in a refrigerator. Take out a cube before going to bath and scrub on your stretch marks. Wash and bath as normal after five minutes. Repeat thrice per week for visible results. Aloe vera is a natural ingredient that is good for preventing and eliminating stretch marks. Being packed with the vital enzymes, vitamins, minerals, and fatty acids, this plant will help to heal the stretch marks quickly. Along with that, its plant collagen content also improves the skin’s elasticity. Almond oil consists of several regenerative and anti-inflammatory properties, all of which are effective for renovating elasticity and bringing youthful skin . Grape seed oil is loaded with vitamins E, C, beta-carotene, and Omega 6 and 9, making it a great emollient to fade stretch marks. Firstly, extract gel from the aloe vera leaf. Add the gel and other ingredients. Blend them well and then, pour the mixture into an air-tight container. After that, refrigerate the mixture. Apply it to your affected areas. Repeat the process two times daily. Make sure to use virgin & cold compressed coconut oil. Avoid using coconut oil if you’re allergic to it. If you have cuts, blisters or wounds, avoid applying coconut oil. Do not scratch the stretch marks. Exercise frequently to retain the elasticity of the skin during pregnancy. Include vitamins A, C & E rich foods in your regular diet because vitamins help to repair the damaged skin. Consume plenty of water daily to help retain the moisture in your skin. 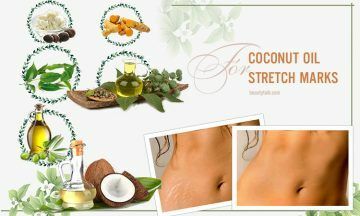 We hope that these remedies using coconut oil for stretch marks are helpful for you. Be patient and try them regularly without fail. 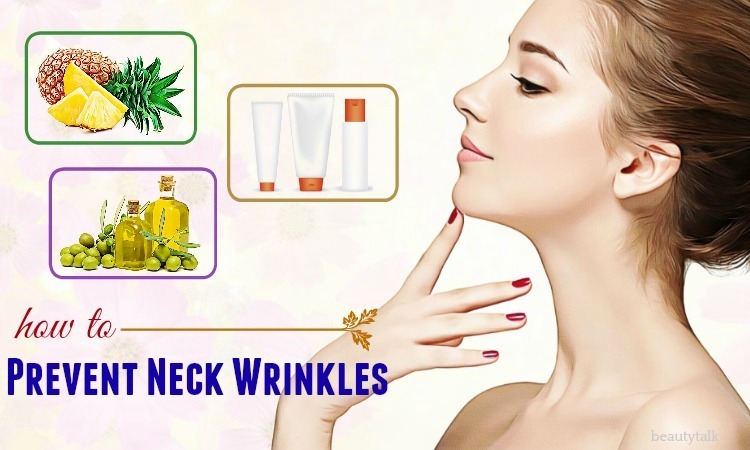 You can go to our main Skin Care page to read more other such articles. If you have any suggestions or questions regarding this post, then write to us by leaving a comment in the box below.